A standard hawkish critique of the practice of arms control and the pursuit of nuclear disarmament is that treaties pave the way to perdition. It’s senseless, in this view, to seek to override divergent national interests and political cultures. Arms control and reduction initiatives are not only doomed to fail, but also weaken America’s ability to respond once failure is evident, lulling the nation into weakness, a false sense of security and unpreparedness. I can easily imagine a situation where our allies find it by far the best measure to sign the treaty while fully realizing now or later that the treaty makes it more difficult for us to render assistance to them. Because civilized man abhors war, he is attracted by any apparently reasonable proposal that is labeled ‘peace.’ Too often, however, and too late, a pact hailed by a hopeful majority as signalizing ‘peace in our time’ actually turns out to be a first step on the path to disaster. One of the greatest dangers arising from the treaty, therefore, is the psychological atmosphere which it has generated: the notion that we are now somehow moving, step by step, into a new period of détente. The most serious reservations of the Joint Chiefs of Staff … are more directly linked with the fear of a euphoria in the West which will eventually reduce our vigilance and the willingness of our country and our allies to expand continued effort on our collective security. The deepest question we ask is not whether we can trust the Soviets, but whether we can trust ourselves. Some have expressed concern about the [SALT] agreements not because they object to their terms, but because they are afraid of the euphoria these agreements might produce. But surely we cannot be asked to maintain unavoidable tension just to carry out programs which our national survival should dictate in any event. We must not develop a national psychology by which we can act only on the basis of what we are against and not on what we are for. Despite these numerous false alarms, sentiment against nuclear arms control and reduction treaties hasn’t changed all that much since the Limited Test Ban Treaty and the Non-Proliferation Treaty – but tactics have. With no treaty ratification votes in the offing, critics have turned instead to stifle prospects for arms control in the future. Tactics now include blocking the modernization of monitoring regimes, opposing full funding for treaty implementation, and delaying the confirmation of individuals charged with pursuing negotiating initiatives and revitalizing the State Department’s personnel recruitment efforts. At this rate, the Obama administration will leave office in poorer shape to reduce identified excess in nuclear force structure than when it arrived. Alas our misanthropes are most effective in destruction of conservative principles. Treaties are instruments of small c conservatism as they attempt to solidify standards and ordering in a world order the parties are comfortable with. 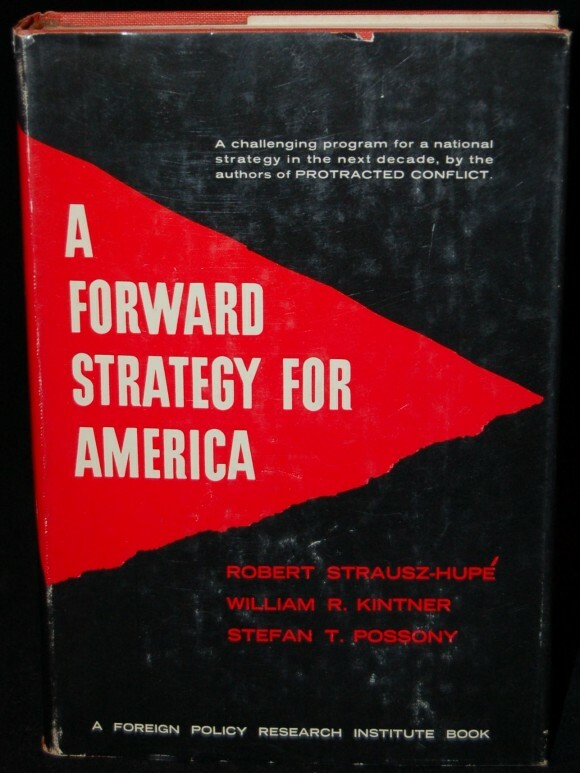 Opponents to structure and organization in a world favorable to us are properly either reactionaries or have selfish interests and somehow benefit from arms races or open conflicts. We have strong conventional forces. Since nuclear forces are intended to deter opponent use, treaties that builddown excesses on the nuclear side without reducing our conventional superiority enhance our relative strength. I disagree with your notion of false alarms. I see the west as lulled into euphoria. We have an aging and decrepit nuclear infrastructure and people are arguing that we should not rebuild it, but let it rot. Why? Because nuclear weapons are irrelevant, right? They have not, and will not be used any time soon, so why spend the money on revitalizing it? Russia may have nuclear capable GLCMs deployed on their western boarder in a few years, but I would bet you a months pay that if the US tried to redeploy nuclear weapons in Western or Eastern Europe there would be riots. I am not saying arms control is bad, by any means, I am simply pointing out that treaties set the trap of complacency and we failed to avoid it. Instead we are now caught and it will take a dramatic shift in priorities to get back on the path of deterrence, true cooperative security, and the revival of NATO. I think we have started on that path, the US simply needs to resolve itself to stay on it. Based on over 140 successful end-to-end tests the SLBM force has the highest demonstrated reliability in DoD history at > 0.993. Trident II remains in low rate production; Ohio Replacement is ongoing. This is a hugely robust proven infrastructure of people and weapon systems as a second strike capability e.g. a credible deterrent. The Bomber and ICBM forces were deprioritized by the USAF after the 1992 disestablishment of SAC. PK was retired; B-1 was decertified as a nuclear carriage platform and you can read about the MMIII personnel in the news (its not a happy story). A jaunt into history will reveal that the Triad was an accident of unanticipated success. At least one of the deterrent options was expected to fail to provide a capable force so to achieve redundant capabilities we tried three routes – we achieved doubly redundant capabilities via a happy accident and we have maintained that over capability on things we never plan to use. Today – you have B52s from the 1960s, B2s (few in number) and MMIIIs with parts over 40 years of age retained with multiple SLEPs. You need to chose whether to have the USAF have aircraft/bombers or the SRF clone US Ground Based Strategic Missile force as the costs will preclude having both. Which system would you like to recapitalize? Modest advice – prioritize conventional forces over nuclear forces as we will use the conventional ones. – radically increasing the submarine fleet (read unaffordable) to account for the lost warheads from the land missiles. Now, I would be more sanguine about relying upon conventional forces if those who argued for heightened arms control at the same time argued for more (or equal) capable conventional forces. The reality is that those who argue for arms control are generally the same who argue for a smaller military, and most likely wouldn’t like any response to treaty violations by other states. That isn’t to say that there aren’t arms control proponents who argue that, they are just rare. My concern is that the arms control community hasn’t indicated the path forward in light of the changing international environment. In that case, the arguments are interesting, but no longer applicable because the world it describes no longer exists. The goal of Nuclear Zero is transforming into Non-Nuclear US, because the US is the only country left willing to negotiate arms reduction treaties. Russia is happy with its current affordable nuclear level and China is happy to be possessing an advantage in intermediate range weapons and to be unconstrained by treaties. Arkady; As a guy that beats plowshares into swords, I try to counsel the arms control ‘fans’ into ‘selling’ treaties as an expression of national interest. Prior to extinction of small c conservatives e.g. intellectual Republicans and conservative Democrats, arms control was an accepted tool of national power. Oil is in the low 80$/barrel range and Vladimir has serious economic problems; we hope he follows his stated rearmament program to repeat the collapse of the Soviet system by overspending on a military he cannot use. Unfortunately the Chinese have not fallen into the same trap of monetizing panic and they claim to maintain a rather small nuclear force (and a small resultant tax on productivity). In the 1980s the Soviets held a ~ 2-1 numeric ‘advantage’ in nuclear warheads; note how little that helped them. Trident II can carry 8 warheads**; due to treaty constraints and maintaining excess MMIII hardware most missiles carry a small fraction of that number. 16 tubes/boat * 10 active boats (12 hulls) supports 1280 warheads without unaffordable program increases. J_kies, I take it you see submarines as the best leg of the triad. Do you agree with Arkady that bombers with cruise missiles are the second best leg? Personally, I see bombers (and tactical nukes) as doing too much signaling that nuclear war might be imminent, better to rely on ICBMs or SLBMs that never signal. On the subject of arms races, I do not see an imminent nuclear arms race with Russia or China. Russia sees nuclear weapons as a cheap (but dangerous) substitute for inferior conventional forces that would be too expensive to build up; Russia currently has strategic equality and tactical nuke superiority. China is competing in conventional armaments, but seems uninterested in a fast sprint to nuclear arms parity, even though China could easily afford it. The best national security argument for nuclear arms control is reduction in the risk of nuclear war. Nuclear Risk = (probability of nuclear war) x (destruction from nuclear war). At a minimum, nuclear arms reductions reduce the level of destruction, if nuclear war occurs. At its best, shrewd nuclear arms limitations can also reduce the probability of nuclear war by increasing stability, reducing tensions, or increasing trust. I guess it will take a Republican President to declare to the country and to Congress that an arsenal of 4,650 warheads is too large and unaffordable; not mentioning 2,700 warheads awaiting dismantlement. So be it. I really think that we came to 1,500 deployed warheads under New START because DOD said that is the target list for their nuclear war plan. So do we really need 3,150 warheads as a hedge to support this or are there many more delivery vehicles, command centers, storage depots, etc. out there that we don’t know about?